Established by the Leadership Board in 1997, the Outstanding Commitment to Students Award recognizes a tenured or tenure-track faculty member in the College of Arts and Sciences for service in the advancement of students beyond the classroom.  Department chairs receive a call for nominations for this award late in the fall semester; nominations, which may come from chairs, alumni, faculty, and students, are due in mid-February. The award is presented annually at the College of Arts and Sciences Honors Day Convocation and carries a $5,000 stipend. For more information, contact Kevin Reid, Director of College Support Boards, at krreid@ua.edu or (205) 348-7009.